The Friends of Harkness Memorial State Park, Inc is an all-volunteer organization formed in 1992 to help preserve and restore Eolia, the former estate of Edward and Mary Harkness . The Harkness property was bequeathed to the people of the State of Connecticut in 1950. Half of the former estate became a State Park in 1952. The other half became Camp Harkness, a State facility dedicated to provision of recreational opportunities to all CT citizens with disabilities. 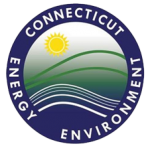 Harkness Memorial State Park is managed and maintained by DEEP, the CT Department of Energy and the Environment. The Friends of Harkness (FOH) work in partnership with park management and staff. The Friend’s efforts have been focused in many areas. At the legislative level, the Friends advocate to secure staff and funding sufficient to ensure that Harkness will be enjoyed by this and succeeding generations. The Friends of Harkness Memorial State Park Inc., with over 600 members, is a 501 (c)(3) non-profit organization. Donations to FOH are tax deductible to the extent allowed by law. Please join with the Friends in our group’s mission to restore, preserve, promote and protect Connecticut’s most beautiful and unique State Park.